Guess we can't make fun of them quite as much for what seemed like a ridiculously long development time. We still can of course, just slightly less. Last year, the folks at Gearbox pulled together and finished up 'Duke Nukem Forever,' a game that had technically been in development at 3D realms for 14 years. It was an impressive feat and a kind of a gift for the community, but many gamers pointed out that Gearbox had its own unfinished game to work on. 'Aliens: Colonial Marines' was announced back in 2006 and hasn't seen the light yet, leading people to think it might become the Gearbox version of 'Duke Nukem Forever.' According to Gearbox president Randy Pitchford, that's because the game was announced even before the team started developing it. "Everyone was just so excited that the deal got done," says Pitchford. "20th Century Fox, Gearbox and Sega all had to agree to do this and commit themselves to it. The fact that that deal even existed -- everyone on the business side was so excited that the deal happened that they just wanted to tell the world. So before we even started on the game they announced the deal." 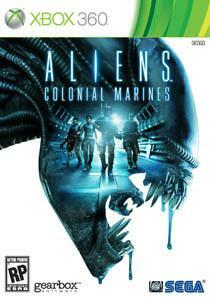 'Aliens: Colonial Marines' is set to release this fall and is currently available for preorder on Amazon.